I’m at the Laundromat. Our dryer broke. I’m happy. Not that our dryer broke, but being here at the Laundromat. I like the order and purpose of this place. I like the focus. Laundry. That’s it. Well laundry and writing. I like how I put in a load, add detergent, choose a temperature setting (which I’m never sure about – Hot for darks? Cold for whites?) press start and then sit. If I were at home, I would have put in the load of laundry, added detergent, pressed start, answered the phone, let the dog out, let the dog in, checked email, hung up the phone, let the dog out, picked up clothes from the bathroom floor, taken ground turkey meat out of the freezer, turned on the tv, turned off the tv, let the dog in, remembered the phone call I had to make, crossed the kitchen to pick up the phone, picked up the phone and forgot who I was going to call, checked email, made a to-do and… I think you get the picture. Not here. Not here at the Laundromat. Here I sit. And wait. And write. I may come here everyday. With or without laundry. Like my secret-to-happiness morning walks I think I’ve discovered the secret to focused writing. For me at least. Imagine, some people just sit at a desk. Maybe I’ll set a chair next to my washer and dryer (once it’s fixed) and after every load goes in, I’ll sit. Folding my first load of whites, I came across my daughter’s well-loved Taylor Swift t-shirt. 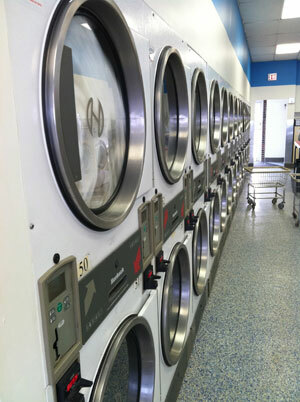 It reminded me of the laundry blog I posted last year. I did a little digging and discovered it was exactly a year + one day ago! So just for fun, a trip down Memory Lane! It appears everyday mindfulness remains an enduring goal!